Exhausted from the stress of midterms and crowds of South by Southwest? Plan a trip to a few of these spots outside of the city for some refuge away from the mayhem. By Austin’s standards, it’s just another March in our calendar year. Yet, there’s one difference this year: South by Southwest and the University of Texas at Austin’s spring break failed to land on the same week. Along with the usual traffic and lack of street parking on a weekday, South by Southwest saw tech bros and thousands of bands roaming downtown. After that chaos, it’s time to pack a bag and gas up your car to escape the city to a few of these out of town spots. As the cold weather blows out, we’re finally getting some temperatures traditional to a Texas spring. 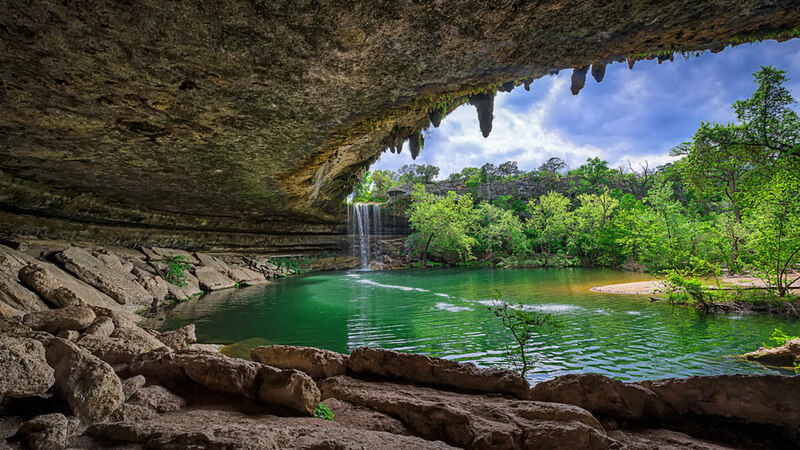 Instead of holing up inside with three fans, take a short drive to Dripping Springs and dip into the Hamilton Pool Preserve. You’ll have to take a mini-hike to the pool, but it’ll all be worth it when you feel the cool water and set your eyes on the 50-foot waterfall set in the side of the limestone pool. Yeah, a bouquet of flowers is nice, but what about a whole field of them? 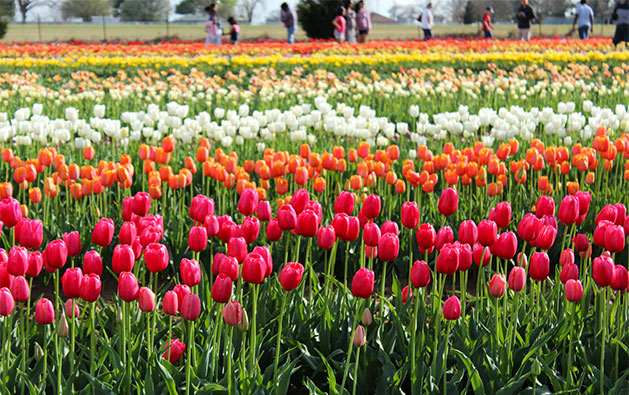 About an hour north of Dallas is Texas Tulips Farm, started by a family who grew tulips in the Netherlands. Stroll through the colorful tulip patches and grab a basket to pick out your favorites or just stop for a minute and smell the flowers. If you’re an art connoisseur, the best road trip destination is hidden in the artsy West Texas town of Marfa. Known for its hybrid of desert aesthetics and a burgeoning arts scene, Marfa is home to the Chinati Foundation, an organization that houses large sculptural art pieces. The land itself is integral to the artwork, for example Donald Judd’s “15 Untitled Works of Concrete.” Solange even cited Judd’s pieces as an influence in her work and performed her album “A Seat at the Table” at the installation in October 2017. Put down your remote and take a quick trip down to New Braunfels to experience a blast from the past: the drive-in theater. Equipped with two screens and a whole snack bar for when you forget to bring stuff from home, Stars & Stripes shows both classic films and new releases. Gather some friends and blankets for a night of horror, comedy or whatever genre that you desire. Although this is technically within Austin city limits, McKinney Falls State Park will make you feel like you’re in the serene countryside. Made into a state park in 1976, this beautiful wildlife habitat is far enough out from the chaos of downtown to help you relax. Splash in the waters of Onion Creek or set up camp and see the bright stars of Texas away from city lights.